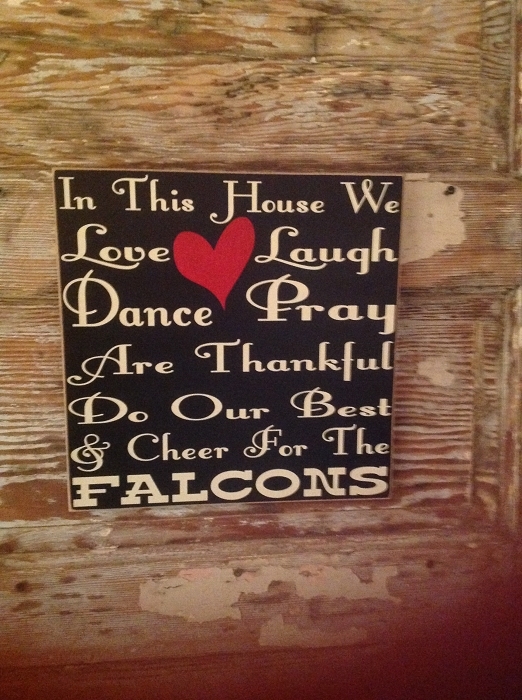 In This House We Love, Laugh, Dance, Pray, Are Thankful, Do Our Best & Cheer For The Falcons. 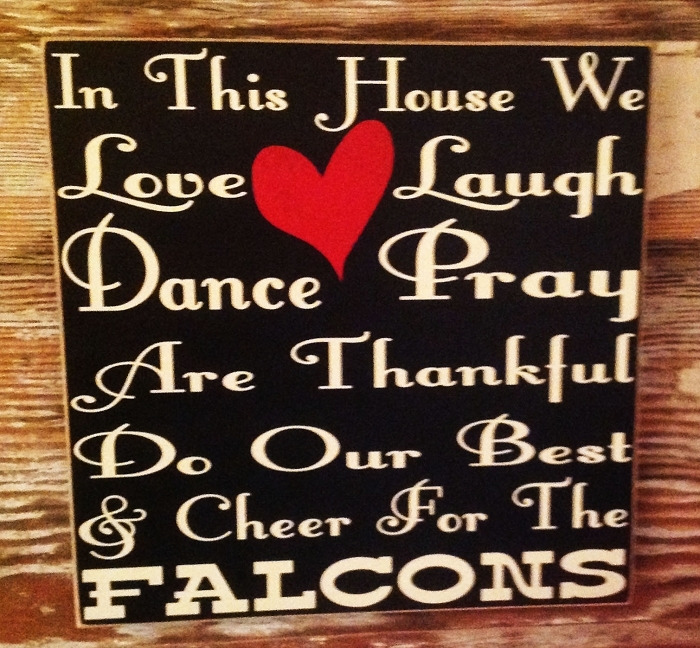 Great addition for any Atlanta Falcon's Fan! Welcome To Packasu. Rustic 4 Foot Long Wood Sign.